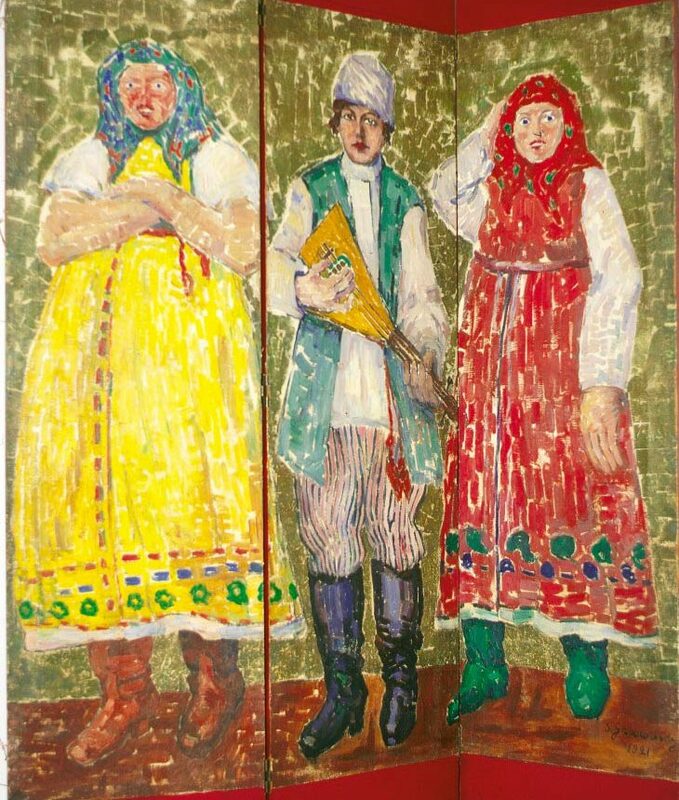 Samuel Granowsky left his family to study painting at the Academy of Fine Arts in Odessa. He continued his training in Munich and in Paris, where he settled in 1909. He was a tall and handsome man, and worked as a “model” at the Académie de la Grande Chaumiere. He also earned his living by working as a cleaner at the café La Rotonde. In Montparnasse, he drew attention to himself because of his eccentric behavior: he strode along the streets wearing a bright-colored shirt and a Texan hat, which he wore when he was an extra in the shooting of a movie. Together with his female companion Aicha, the famous mixed-race model of Montparnasse, he was an emblematic figure of that time. 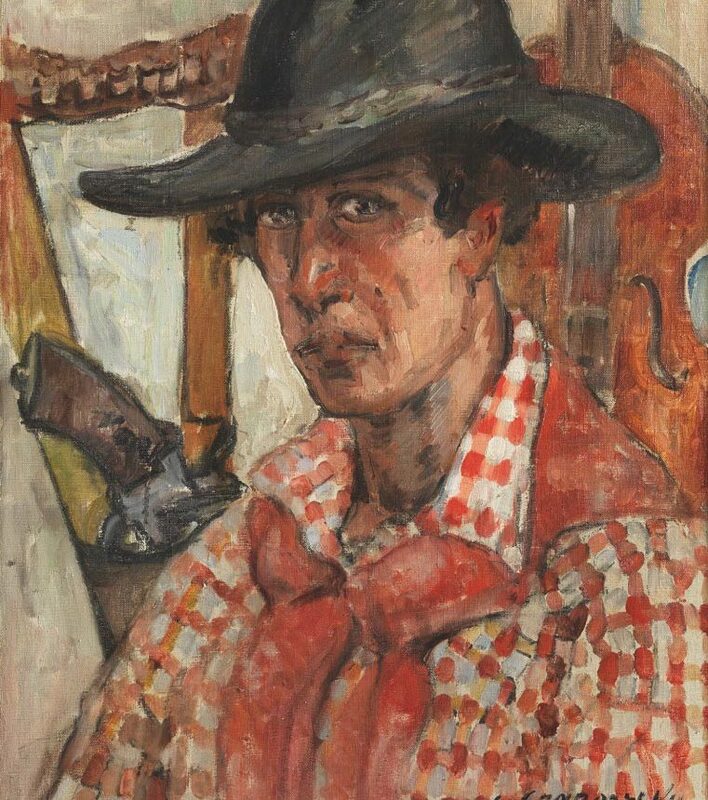 He was nicknamed “the cowboy of Montparnasse.” He depicted scenes of Parisian life as well as traditional Russian figures, fairs, and musicians. He also painted portraits, nudes, and wildlife paintings. He was renowned for the eclectic character of his art: mural fresco for private individuals, paintings on furniture, screens, and sculptures. He mainly worked with pastels and painted with a palette knife. During the war, Sam Granowsky stayed in Paris. On July 17, 1942, he was arrested by the French police during the Vel d’Hiv roundup. He was interned in Drancy and was deported on convoy number 9 on July 22, 1942. He was murdered in Auschwitz.